The Marker tool is very comparable to the Pencil tool. 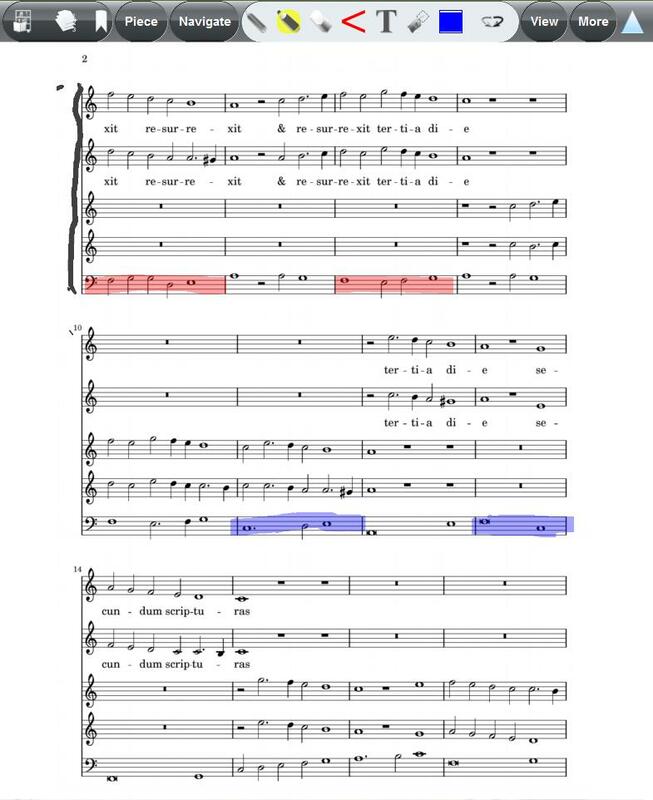 It can also be used for creating annotations on the sheet music, but the biggest difference is that the Marker tool is transparant and is not pressure sensitive. This makes it the ideal tool for drawing clear lines or highlighting parts of a piece. The Marker uses the settings set in the Color & Line Width panel, in the icon the pen thickness as well as color are shown. Everything drawn with this tool can easily be removed by using the Eraser or Undo/Redo/Clear Page function. Note: The active drawing field equals the size of the PDF, so drawing to the right or left of the piece has no effect. Posted by: Nick Leoné - Tue, Feb 15, 2011 at 1:45 PM This article has been viewed 3422 times.